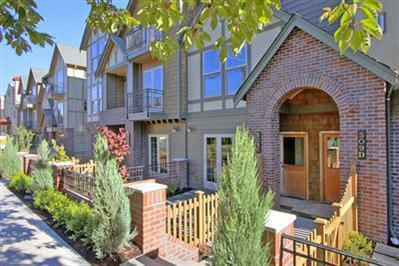 Townsend is a community of 13 new construction luxury townhomes on Queen Anne’s desirable South Slope. 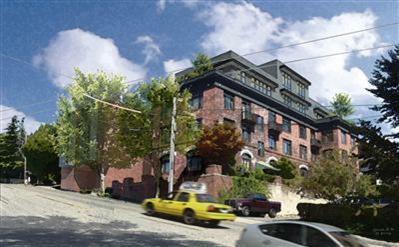 The four-level homes range in size from 1,720 to 2,580 and offer spectacular downtown, water and Space Needle views. I recently spoke with Azul’s developer who mentioned that Azul should be receiving the Housing of Urban Development’s (HUD) FHA approval designation soon, if not already. 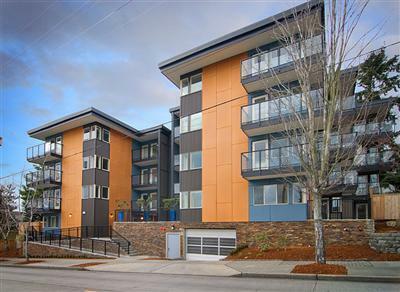 Azul joins just a relatively small number of condominiums in Seattle that are eligible for FHA financing. Very few developers apply for FHA approval so this a great move on Azul’s part and should attract a larger buyer pool. Stopped by Leona last week for a hard hat tour of its progress. Work is coming along quite nicely and the developer anticipates completion by the end of Summer. Homes located on the original building’s top level and above will have the best views.